Although Americans have embraced Winston Churchill as one of the great statesmen of the 20th century, he has never enjoyed unqualified adulation in his own country. A maverick — or, less charitably, a political turncoat — Churchill was and still is regarded by many of his fellow Tories as an opportunist and a grandstander. And the British left could never stomach his arch-imperialism and pronounced reactionary streak. Nonetheless, for a long time everyone in Britain seemed to agree that Churchill was, as the great left-wing historian A. J. P. Taylor anointed him, ”the savior of his country,” the man who defiantly led the British people in their seemingly hopeless resistance to Hitler. Even this image of Churchill, though, has been under assault. Most recently Frank Johnson, a columnist and former editor of The Spectator, the venerable conservative weekly, aroused enormous controversy this spring when he raised a question in the magazine that historians have been debating for more than a quarter century: Did Churchill consider negotiating with the Nazis in 1940? That debate is part of another, wider and even more acrimonious one among British historians and political figures: Should Churchill have negotiated a compromise peace with Germany? The argument revolves around the confusing and inconclusive records of deliberations in Churchill’s cabinet in May and June 1940 over whether Britain should discuss peace terms with Germany, records over which historians have argued for the 30 years that they have been available. The question is how to interpret these remarks. To historians like John Lukacs, the author of several books on the period, and Martin Gilbert, Churchill’s official biographer, who depict Churchill as an uncompromising hero, such remarks are evidence only of Churchill’s extraordinary political skill. Consider the context. 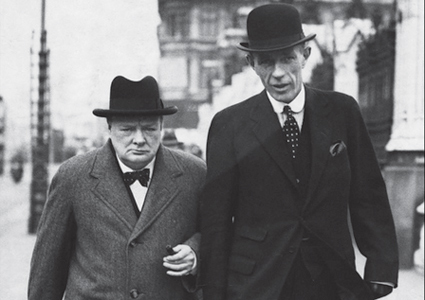 Churchill made those statements during debates with his foreign secretary, Lord Halifax, one of the most ardent advocates of appeasement in the 1930’s. Halifax was trying to convince the cabinet that Britain should immediately send out feelers to Hitler, arguing that if negotiations were conducted at all, the sooner they got started the better, since peace terms were likely to be more acceptable while France was still in the war and before British aircraft factories were bombed. Thus, Churchill’s argument to wait for better terms was actually a way of warding off Halifax’s plea to enter negotiations immediately. Talk of peace was merely a debating tactic. What people forget, the revisionists argue, is that during the cabinet debates in May 1940 every British policy maker assumed that, without a negotiated settlement, the quarter-million British soldiers trapped at Dunkirk would be killed or captured. They also argue that the idea of an armed truce with Germany didn’t carry the same moral odium it does today. (Even Churchill speculated in 1935 that Hitler ”will go down in history as the man who restored honor and peace of mind to the great Germanic nation”). Finally they argue that in May 1940 Britain was under even more severe economic and military constraints than those that had inspired the appeasement policies of the 1930’s. Continuing the war would itself inexorably bring an end to Britain as an independent power through national bankruptcy. Indeed, the inevitability of economic collapse, coupled with the bleak strategic prospects, might have seemed to point to one answer: to accept that Germany now dominated Europe and make the best possible peace with Hitler’s regime. It is on this point that the second, more controversial historical question has centered. Some British revisionist scholars such as John Charmley, a historian at the University of East Anglia, dismiss Churchill for not seeking a settlement, which they assert could have safeguarded the empire and kept Britain from becoming what they see as a vassal of the United States. The revisionists argue that in 1940 Churchill had no strategy for winning the war. More important, they maintain that by fighting on to 1945, Churchill assured the liquidation of the empire and guaranteed that the only victors would be the Soviet Union and the United States. Even scholars who find these arguments flawed acknowledge that Churchill’s best reason for fighting on was one of which he had no knowledge at the time: that as early as July 1940 Hitler was contemplating turning against the Soviet Union. Of Hitler’s intentions, no prediction can be found in British intelligence reports and strategic assessments. And so the revisionists dismiss Churchill’s so-called strategy in 1940 as simply to keep plodding on, as Churchill acknowledged. But to historians like David Reynolds of Cambridge University, the revisionists’ belief that Britain could have maintained any kind of working settlement with a dominant Germany is ridiculous. With Germany in possession of bases along the northern and western coasts of France, the British were acutely vulnerable to blockade and hence would have been largely dependent on the sufferance of Berlin. Ultimately Churchill’s strategy, by design or luck, worked. As they argue, it was hardly unreasonable of Churchill to hope that during the chaotic diplomatic and military environment that prevailed in the absence of an agreement, the United States and the Soviet Union might well be dragged into the conflict against Hitler. After all, those nations’ long-term interests clashed with Germany’s to a far greater extent than Britain’s did. In the end, the revisionists’ position that Churchill sacrificed Britain’s empire and independence by choosing to fight on is true but beside the point, they argue. 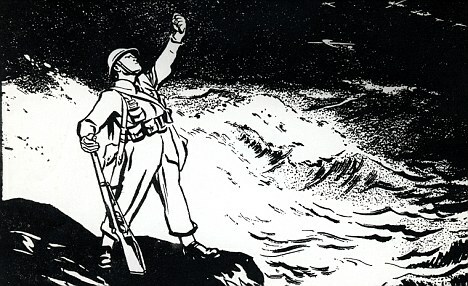 No matter what course Churchill followed in 1940, Britain’s ability to maintain its position as a world power was over.